A high cobalt alloy containing, chromium, nickel, molybdenum and manganese. This deposit gives work hardenable slag-free protective coatings suitable for carbon steels, low-to-high alloy steels, stainless and manganese steels and nickel alloys. Great flexibility in operation: 100-400 A. A ternary cobalt alloy containing, chromium and tungsten. This slag-free deposit is especially suited for protecting carbon steels, low and high alloy steels, stainless steels, manganese steels and nickel alloys. Resistance to metal/metal friction at elevated temperature. The slag free high-speed steel deposit is forgeable and can be heat treated. It is ideal for coating carbon steels, both low and high alloy steels, and manganese steels. The slag free deposit offers exceptional resistance to fine particle abrasion and erosion under moderate impact thanks to a structural matrix, which is tough and reinforced by extra-hard phases. Exclusive, gas shielded alloy in small diameter. Endotec DO*14 has been developed as a protective overlay on parts subjected to combined wear phenomena, Abrasion, impact and pressure. 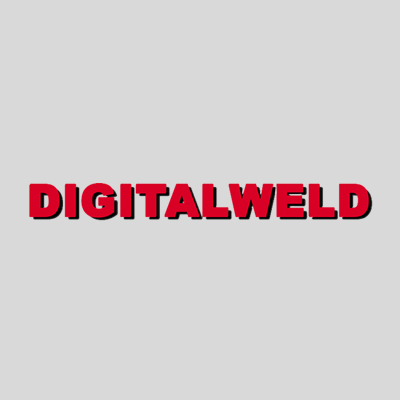 It is ideal for maintenance and repair applications or batch manufacturing where highest integrity welding, efficiency and productivity are required. The slag free deposit is forgeable and can be heat treated. It is ideal for coating carbon steels, both low and high alloy steels, and manganese steels. Resists metal – metal friction. No “sticking” of electrode or inclusions. Low heat input for low dilution. The slag-free deposit features a high density of very hard, cast tungsten carbide particles evenly distributed in a nickel alloy matrix which is further reinforced with very fine precipitates formed by re-crystallisation. This gives exceptional resistance abrasive-erosive particles with moderate impact and specifically for service in hot or corrosive environments. This non-magnetic slag free deposit with a high chromium and manganese content is ideal protection for carbon steels, high alloy steels and manganese steels. High resistance to impact pressure and metal/metal friction. High resistance to plastic deformation, reducing local stresses. Machinable with normal cutting tools. Excellent bead appearance, no spatter, high arc stability. Low amperage flux coated electrode for a wide range of cast iron (and cast iron-to-steel) applications. 22*33N offers highly crack resistant and machinable weld deposits. It has superior weldability and wash characteristics. As a result, the weld beads are flat, even and finely rippled. At rated amperages, electrode overheating (which causes flux coating to break-off) is practically non-existent. The entire length of 22*33N can be used productively for making sound welds. The smooth, stable arc has great strike/restrike characteristics and there is hardly any spatter or fuming. 22*33N is an ideal solution for a variety of cast iron repairs under demanding conditions viz: joints under restraint, massive sections, dissimilar thicknesses, circumferential pipe welds to flanges, etc. 22*33N is strongly recommended for welds which must be leak proof and have hydrostatic integrity. High Nickel electrode for machinable welding of grey cast irons. Xyron 224 is a graphite coated electrode that provides a nickel alloy deposit used for joining, coating, building up of missing sections, filling holes & porosity and repairing breaks & cracks, as well as for joining cast iron to steel. Low amperage welding current means low dilution with the base metal. Exceptional for parts that are oily such as motor blocks, motor housings etc. Specifically developed for low heat input semi-automatic joining, rebuilding and anti-wear protective coatings of cast iron. It can also be used to join cast iron to steels.